OLPC won warm acceptance at the recent 7th Pacific Forum Education Ministers’ Meeting (FEdMM), in Nuku'alofa, Tonga this week with no less than 13 Pacific Island countries requesting to participate in a OLPC Oceania Country Trial program. This followed acknowledgment in the keynote address of growing acceptance of ICT and OLPC in the region. 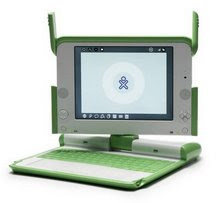 OLPC was an official observer at the meeting, alongside regional and international actors such as UNICEF, the Asian Development Bank, World Bank, and European Union. OLPC made a joint presentation with its regional deployment partner, the Secretariat of the Pacific Community outlining a regional effort to establish a "Pacific Pool" of XO laptops in the region, feeding Pacific schools with hardware as they become ready to deploy them. Some 13 nations have requested to take part in the regionwide initiative: Fiji, Samoa, Federated States of Micronesia, Solomon Islands, Nauru, Tokelau, Niue, Tonga, Palau, Tuvalu, Papua New Guinea, Vanuatu, Republic of Marshall Islands. Existing small pilots in 5 countries -- Nauru, Niue, PNG, the Solomons and Vanuatu -- will be scaled up and deployments in the other 8 countries will roll out as donor support is mobilised.